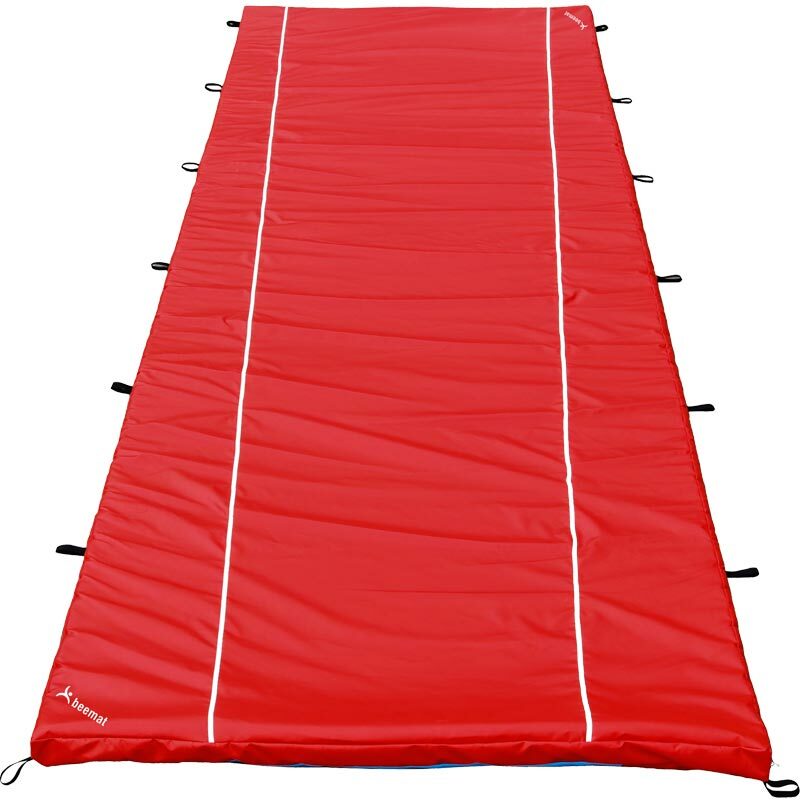 The Beemat ® Supplementary Soft Landing Mat "Splat Mat" provides cushioning and shock absorption for gymnasts on landing and is placed over other joined firmer mats to provide a continuous landing surface without gaps. 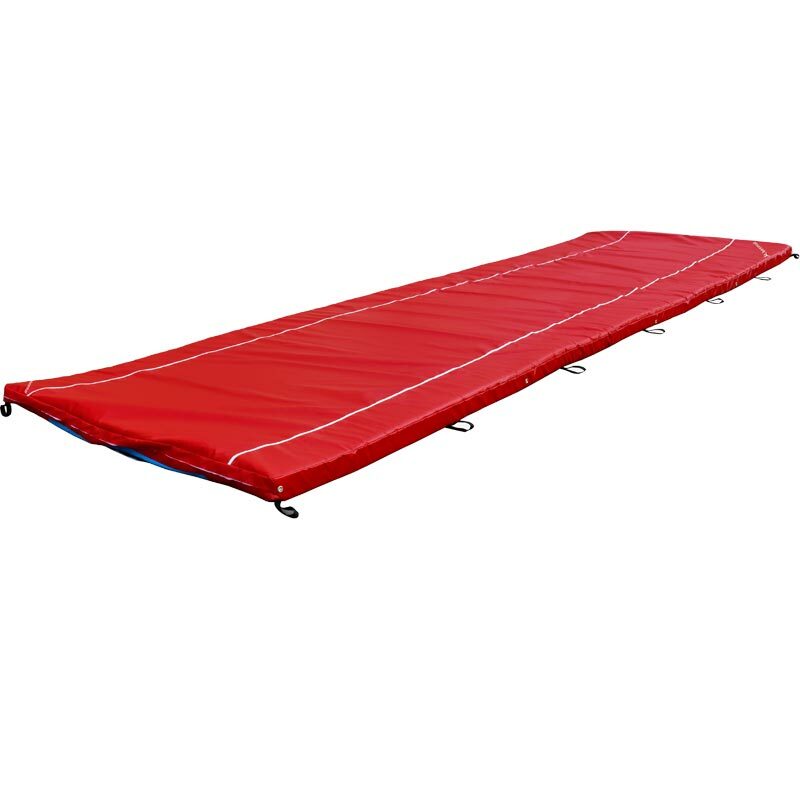 Handles are placed at 1m intervals down each side of the mat for easy maneuverability. 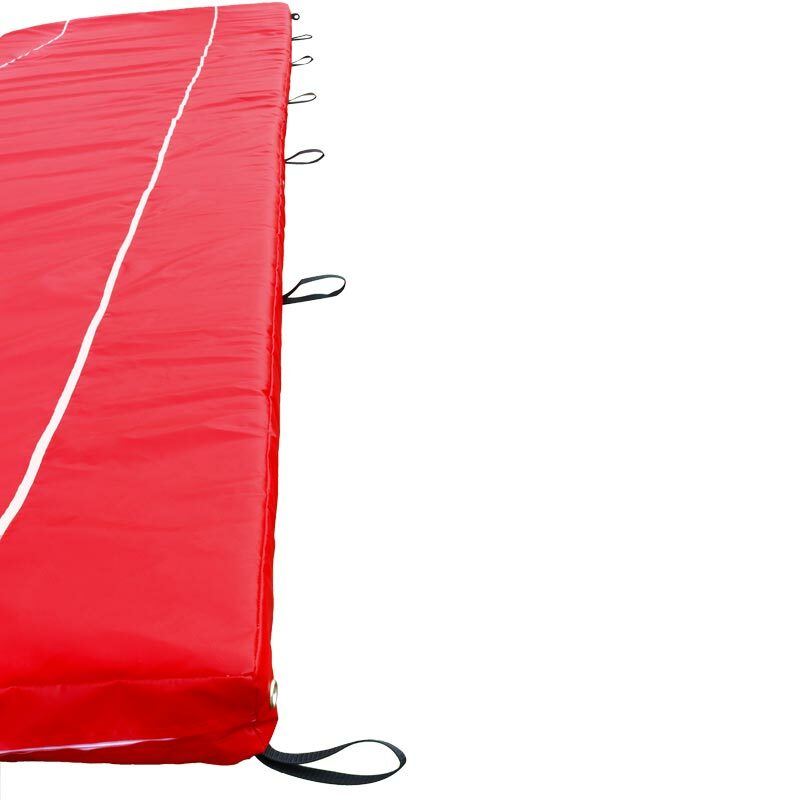 A 6m long soft landing mat for vault. Provides an extra layer of protection for landing. Incorporates funnel marks showing the vault landing area. High quality polyether foam inner. Size 6m x 2m x100mm.